Project Sub5. That was my aim for 2013. To complete a full marathon in under 5 hours. Been trying to achieve that for the past 7 full marathons that I've joined. 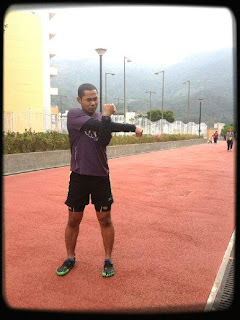 Training started way back in November 2012 with my running buddies from Freedom Freaks. Sundays were reserved for intervals training or LSD runs. 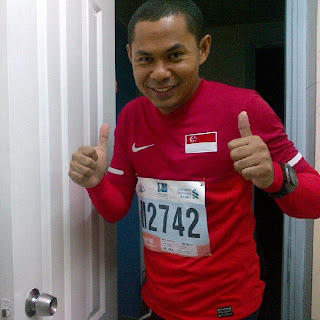 Every other days on the weekdays were for my short runs around the neighborhood. Reached Hong Kong few days earlier. The weather was funny during that week prior to raceday. Some days are cold, other days are sunny. Thank God the wind was blowing quite strongly everyday. 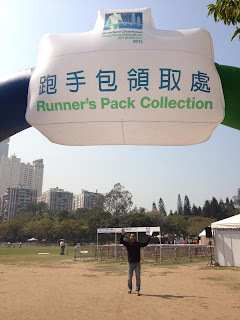 The racepack collection was held on the Friday of the event's week. Not a great fanfare event as compared to what we normally saw when we collected our racepack in Singapore. Fast forward to raceday, it was a super cold morning to begin with. 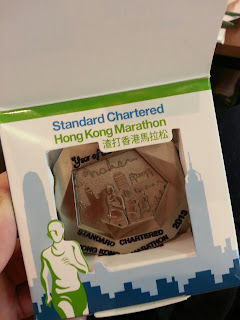 Met with my running kaki, Teck Heng at TST MTR station at about 545am and straightaway proceeded to the baggage deposit area. It was one of the best deposit area I've seen so far. Did our own pre-race warm-up and walk slowly to the start line for our flag-off which was at 710am. 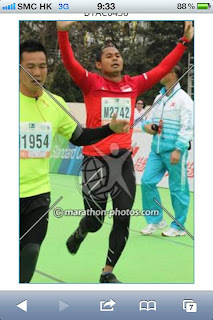 At exactly 710am, the race started and I decided to maintain my pace of 6min 30sec/km. 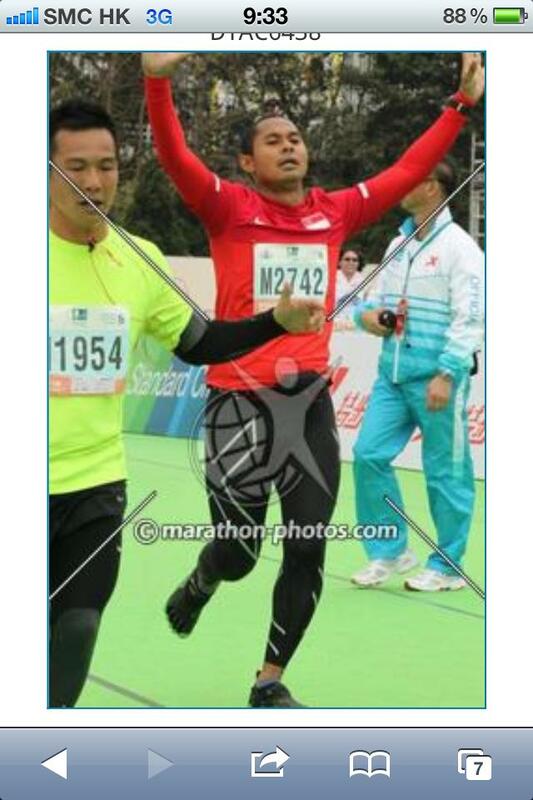 The timing for my 1st 20km was slightly below 2hr 10mins. Told myself that if I maintained this pace throughout, my target of sub-5hrs is achievable. The weather really helped a lot in me achieving my target. It was cloudy almost throughout the race. There are times when the slopes were quite steep and the only option was to walk to the top before running slowly. But I'm glad that I was really determined to get to my goal. 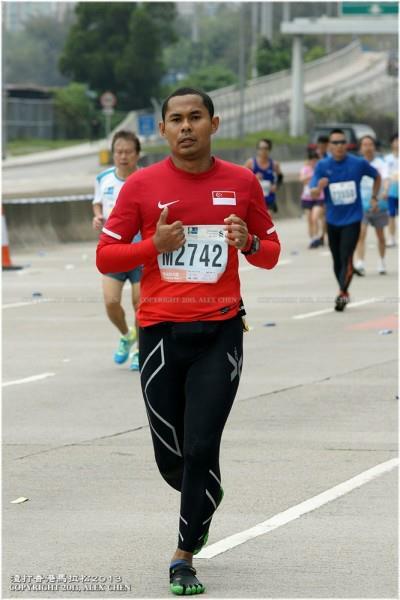 The last 1km of the race was really something that you can't get in Singapore, in my opinion. 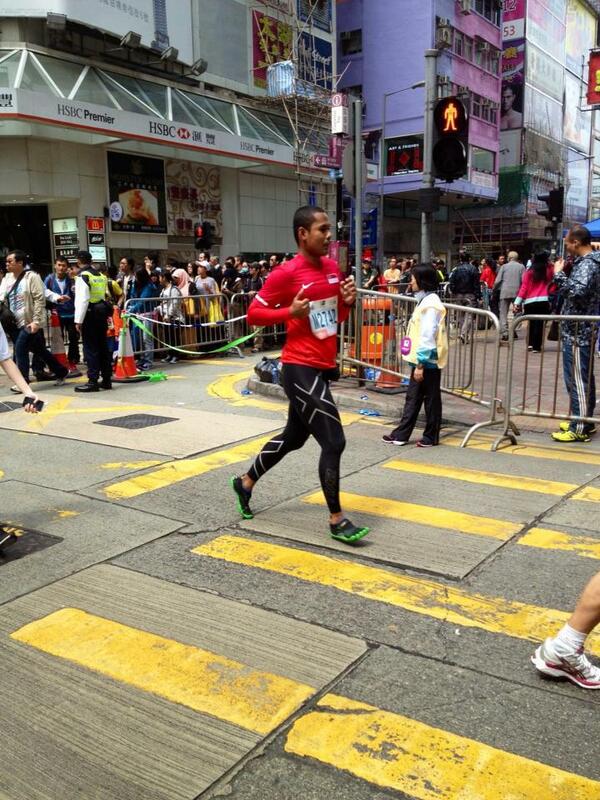 Crowds on the either side of the road really encouraged you and that made me to give my all till the finish line. Was really glad to finally reached the finish line. I knew my timing was under 5 hours. Felt happy and ecstatic at my minor achievement. My training really paid off. 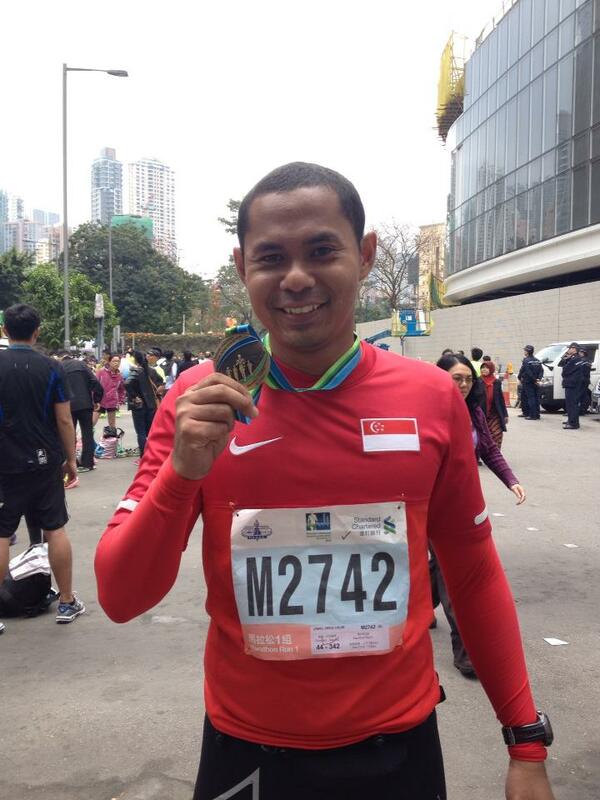 Collected my 8th Full Marathon medal and felt relief after finally hit the Sub 5hrs timing. 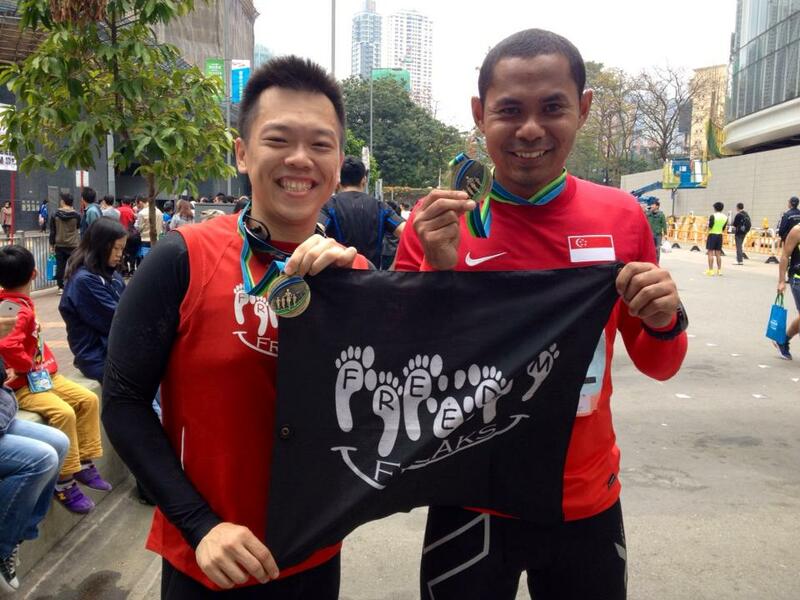 Met with Teck Heng who did a wonderful run himself. 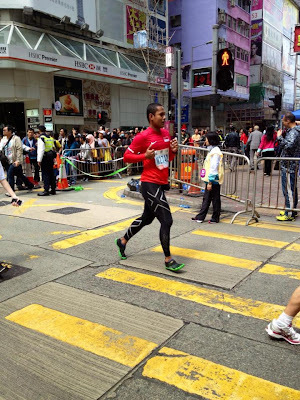 Kudos to him on his virgin full marathon. My official result stated that I was just 17 seconds shy of 5 hours !!! Boy, I was glad !! 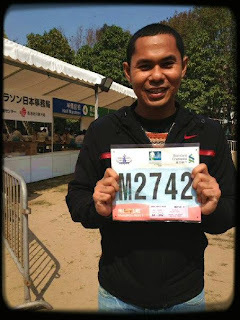 Next up will be my 9th Marathon in Seoul this coming Sunday. 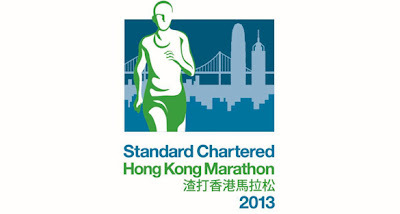 Hope to get another Sub5 finish as the cut-off timing is 5 hours !!! Congrats bro for that elusive sub-5 , 17 seconds under woah..